On June 24, Japan's Shikoku Electric Power Co. began loading nuclear fuel into its Ikata-3 Nuclear Power Plant (PWR, 890MWe). By June 27, it had loaded a total of 157 fuel assemblies, including 16 uranium-plutonium mixed oxide (MOX) fuel assemblies. Ikata-3 has already cleared a safety examination by the Nuclear Regulation Authority (NRA), confirming its compatibility with the new regulatory standards, with permission granted to make changes to the reactor installation (basic design approval) in July 2015. The NRA approved the construction work plan (detailed design approval) in March of this year. 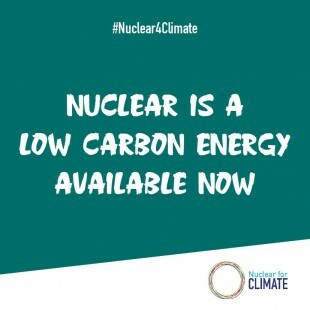 It has also been making pre-service inspections of the reactor since April to confirm that the equipment and facilities are functioning as determined in the compatibility examination. 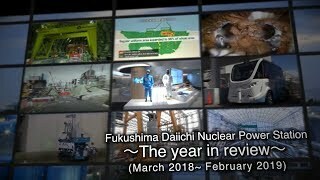 In regard to facilities designed to respond to specific severe accident situations, including terrorist attacks, as required under the new regulatory standards, the NRA gave Shikoku Electric Power a five-year grace period from the time of the detailed design approval (i.e., this year), but the power utility expects to complete that work by FY19 (which begins in April 2019). After loading the fuel assemblies, Shikoku Electric Power will carry out tests to confirm plant functions and performance before it starts the reactor up again. According to the FY16 management plan issued by the company at the end of April, Ikata-3 is expected to begin generating power at the end of July, and re-enter commercial service in mid-August. That will make Ikata-3 Japan’s fifth reactor to be restarted after meeting the new regulatory standards, joining the Sendai-1 and -2 NPPs, owned and operated by the Kyushu Electric Power Co. and the Takahama-3 and -4 NPPs, owned and operated by the Kansai Electric Power Co. (Kansai EP). 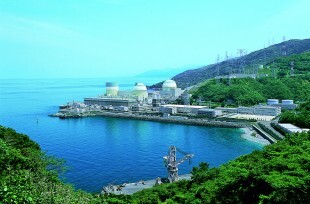 Shikoku Electric Power’s previously-issued outlook for energy supply and demand for this coming summer was made on the assumption that it would not restart any NPPs. The power utility now says, though, that it is striving to restart Ikata-3 as soon as possible in anticipation of increased power demand for the summer. In order to ensure stable supplies of electricity, it has pressed aging thermal-power generation facilities into service, creating various burdens. For example, periodic inspections at Shikoku Electric Power’s Anan-2 oil-fired plant (220MWe), 47 years old, have already been deferred twice under the act on special measures for earthquake-related special cases.